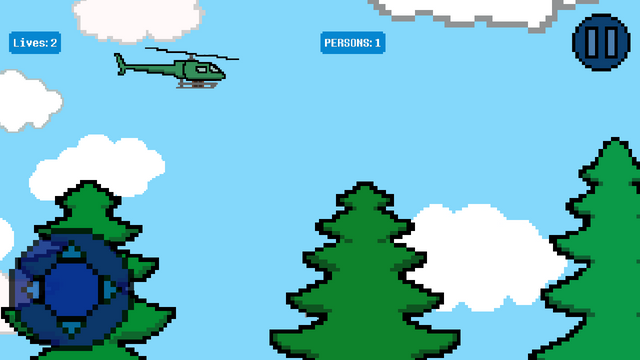 This is a small pixilated game about the helicopter. 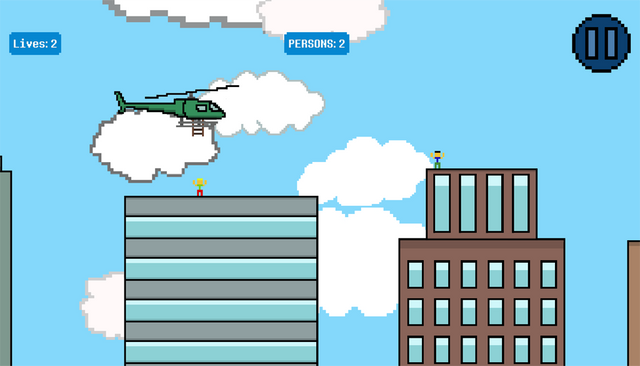 Fly through the sky and pick people from rooftops and other high places. 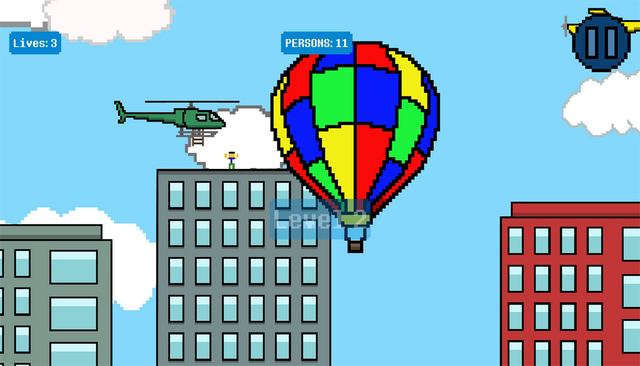 Avoid bumping into planes and hot air balloons. To get to the next level all the "persons" have to be rescued. There is 10 levels in this game and three different level themes. I like that you have released web mobile and desktop versions and i didn't find any bugs or glitches yet, so that's great! Sadly, the game got boring after around the 5 second mark and it didn't ran as fast and smooth as i expected it to (web-version) with it's simplicity. There were quite some fps drops here and there. It has potential if you add some nice effects and make the controls less direct and more dynamic, steering is too easy in a way that makes it boring. The game in this form is just too simple to be fun. Hi, VaTTeRGeR Yeah, made html5 version for the first time, and as can see, after GWT-compiling its became 30 fps out of 60, and i think this is related to the smoothness problem, but I don't have any idea what is it . 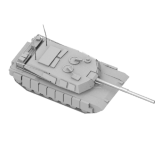 Boring, yeah, i guess so I had an idea of making it slow and thinking, but in that case it was wrong to abandon an idea of making "realistic" heli-like controls and work some more on the enviropment.